HomeHeadphone ComparisonsSennheiser HD 600 vs. 650 | THE WINNER? 5,207 word post, approx. 8 min read. First check out this quick comparison before we get started! Click here to jump to the Table of Contents, or check out the quick view if you’re ready to purchase the HD600 or 650! The HD650 offers a warmer and more relaxed overall sound. It tends to smooth over the rough edges in music, like sandpaper to wood. It’s better suited for casual listening where your goal is to sit back, relax, and not analyze the music too much. I also found the Soundstage on the 650 to be a bit better for Gaming and movies as it’s more immersive and tends to separate details and sounds better. The HD600 by contrast is a little cleaner sounding, and definitely less warm than the 650. This is a mixing and mastering headphone above all else, as it will reveal flaws in the recording quite easily. I would also say that the mid-range sounds a bit more forward, due to the increased roll off in the bass, or simply a bump around 1-3k. In all honesty, I don’t hear this amount of “forwardness” with the 650, and at times the mids of the 600 can simply be too much from a pure musical enjoyment standpoint. Here’s a measurement I did of both illustrating the point. You can see the mid-range is more forward in the 600’s which makes it sound kind of in your face at times and not as enjoyable. There’s also more mid-bass emphasis on the 650. This for me makes it more fun to listen to overall. If you’re interested in my in depth look before you pull the trigger, I totally understand. I’m that way too, so read on!! 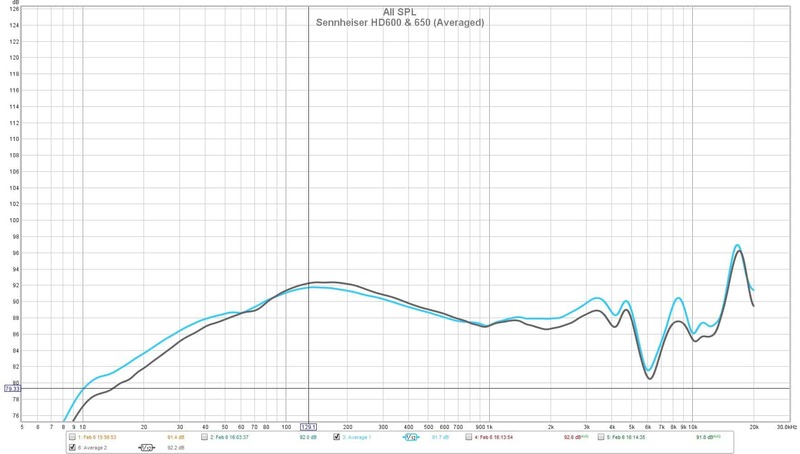 Prepare yourself, as this article will attempt to cover any and all questions you may have regarding the Sennheiser HD600 vs. 650, two former flagship models that really set a standard for audiophile headphones back in the late 90’s and early 2000’s. The HD 600 debuted in 1997 and the 650 followed in 2003. They have both been around a long time, and have a great track record as some of the most respected, and best all around open back cans in existence to this day! Before we get started with all the fun, grab a snack, sit back, and relax because..
Click any of these to navigate the mini HD600 Review! Click any of these to navigate the mini HD650 Review + The Rest of the Comparison! What are both good for/not good for? Frequency response: 12 Hz – 39000 kHz. Material: metal grilles, carbon fiber, plastic, velour ear pads. What more can be said about these? Well I’ll tell you! For starters, they may be the best reference headphone that you can buy. This is across the board pretty much a consensus among-st audiophiles and casual listeners a like. I will never forget the first time I read this review on amazon. The reviewer claimed that buying an HD 600 would revolutionize not only the music you may listen to in the future, but also what you already own! It’s a very powerful concept that stuck with me. Being able to re-discover old sounds is something that is truly priceless. Everyone loves music. Imagine if the feeling you got from an old album was like hearing it for the first time again, only it was better, and sounded fresh and unique?! That’s what these headphones provide. They give you the subtlety and details you’ve never heard before in recordings. They also reveal quite a bit of flaws in a mix/master, so be wary that these headphones were made for good quality recordings from good sources. I have listened to them with 192 kbps Spotify songs, but I would highly recommend to try and stick to 256, 320, and high quality WAV or FLAC. Also make sure to purchase a decent enough amp to power these correctly. At 300 Ohms and 97dB of Sensitivity, it is pretty much mandatory. Learn more: How to choose a headphone amp! Bass. Great bass and low end. It’s not overpowering but rather strong, clear, and well defined. Gold standard for neutrality and accuracy in studio environments. Everything sounds exactly as it is, with very little coloration. There is a bit of emphasis in the mid-range which at times seems to get a bit out of line. This is a nitpick and you can EQ it if need be. All in all, the mid-range reveals voices and instruments with stunning clarity, depth, and cohesiveness. Airy, open, and detailed, but at the same time doesn’t sound thin. The price to performance ratio is virtually unmatched. Buying these may be the best investment you’ll ever make, with audio equipment or otherwise. All parts replaceable. The grilles, padding, and chords are all replaceable, and given proper care the headphone should last a lifetime. Let’s take a quick break for some entertainment! Perhaps the most transparent and honest set of cans you will find in the mid-tier price bracket. The bass is clear and precise, but doesn’t really hit as hard as some would like. Just be aware of your sound source before passing judgement on the headphones themselves. A good Amp/DAC is mandatory to bring out the best in these as well! These are some of the most accurate and well respected headphones on the planet. They are a little warmer, lusher, and thicker than their younger brother, the HD 600. They are also a bit more refined. I like to use the term “succulent.” They are a bit juicer sounding than their colder older brother. Blame it on parenting. Lol. Being a little less neutral, they are more enjoyable from a pure musical standpoint, and work better for the casual listener/budding audiophile. As an open back model, these will leak sound so be wary of that and know that they perform best in an isolated studio environment, absent any extraneous noise and distraction. Closed back vs. Open back headphones. Another thing to note is the impedance level. At 300 Ohms, these will also need an adequate amplifier to reach their full potential. They simply require more power than your average headphone. Interestingly enough, they do not require as much current as an HD600 (103dB vs. 97dB), which would explain why they’re somewhat easier to pair with a variety of Amp/DAC combos. I find that I’m not having to dial up the volume as much with an HD650, whereas with an HD600 I feel like I’m constantly adjusting and re-adjusting the volume based on the source, as well as their “on the cusp of being low” Sensitivity. The 600’s are simply not as receptive to a steady volume level, which I find rather irritating at times. What is Headphone Impedance? They take a bit of burn in time to really get acclimated, so prepare to really be impressed after around the 50 hour mark. Things start to open up considerably and everything kind of settles in. The sound becomes focused and tightly in place, which results in a very clean overall signature. Do headphones need to be burned in? Nice Soundstage and Imaging. You are able to place where the musicians are on stage, and being an open backed can, the sound won’t get trapped in your head and leave you fatigued. A forward and engaging mid-range. helps with the presentation of the male voice, as well as vocals and instruments in general. Tight and authoritative bass response. It’s less neutral than the HD 600. There’s more bass here for certain. Like the 600, you will be able to hear the tone of a kick drum as well as different textures in frequency. An important thing to remember is to make sure your sound source is of good quality. These will reveal flaws in haphazard mix downs and masters. Not Picky. It’s not too picky about which amp you choose to pair with it. Sounds pretty fantastic with most amps. More on that later! Very versatile. In terms of genre, it can handle a wide range of musical styles. Rock music is arguably it’s strongest suit, but I love these with Indie Pop and Hip-Hop as well! Comfort. Those velour ear pads make it so you can wear these for hours and not get fatigued. I’ve never taken a 650 off of my head because it was uncomfortable. These will sit on your melon for the duration of the listening session with no questions asked! Longevity. Replaceable parts, which ensures longevity out of your purchase. The pads are easily replaceable. The cable can be replaced. Too smooth. Like Fonzie except not, these headphones are so chill that they may lull you to sleep! Now let’s delve into the comparison shall we? Production. Critical listeners and producers looking for an honest mix down. The HD650’s signature isn’t as conducive to mixing, but they will still work. Just know that even though there are differences between the two headphones, they are fairly subtle. More on that in a bit! Jazz and Classical. The HD650 in particular is sublime with certain Jazz recordings. Make sure you’re primarily listening to the highest quality sources possible, but also know that the 650 tends to smooth out the rough edges in music. It’s a headphone that’s a bit more immediately enjoyable, as opposed to the more sterile sounding HD600. Hip-Hop/Indie Pop. There are some folks who wouldn’t outright recommend either of these for Hip-Hop, but I’m not one of those people. I think they do exceptional for both, as well as Indie Pop. Why? Because instead of feeling the bass, you’re able to now hear it. Because of this, the music immediately has more detail and sounds much better than a pure bass head can. You’ll start to hear things that you never dreamed were there. For instance, I much prefer Lauryn Hill’s Lost Ones with a 600/650 than I do with a more V-shaped can. It just sounds so much better and more refined. Rock. Perhaps their bread and butter, both of these headphones do phenomenal for Rock as there is a perfect amount of bass and the mid-range is really allowed to shine. The somewhat darker treble never gets out of line either, but still retains a great sense of clarity and detail. They sound good with just about every type of music though, and have been called a genre master. Not for every recording. They are really honest and will reveal flaws in your everyday recordings. This reviewer mentioned that he was tempted to throw away all of his old badly mastered stuff. Make sure your source is of good quality! The 650 is a bit more forgiving in this case, so it will match better with the more casual listener. I do find myself skipping over some tracks with the HD600 as the mix/master just sounds awful. This is the exception and not the rule, but still something to keep in mind. Both headphones are Open back. Closed back vs. Open back headphones. Both headphones have 300 ohm Impedance, and do well with similar amplifiers. Both headphones have a Circumaural fit (around the ears). Both headphones have that nice velour padding, and are very comfortable. Both have an open, airy sound, and provide great Soundstage as well as instrument separation. Be aware that the Soundstage on the HD600, while good, isn’t particularly wide like an AKG model. You’re getting more of a pinpoint accurate sound. With the 650 it’s a bit wider. More on that below. Both weigh roughly the same. Both have the same grilles and headband adjustment. Both ear cups move in the same way. Color. The HD600 has a blue speckled finish, while the 650 sports a grey and black metal flake finish. Sound. The sound of each is very similar, but you will notice that the 650’s are a little warmer & more colored. Their target audience is people who prefer a more enjoyable listening experience rather than the critical one that the 600’s provide. The 600’s are a bit livelier and crisper by contrast. This difference is rather subtle and took me going back and forth a few times before it became apparent. Bass. The bass is the main difference. With the 650, you’re getting that warmer, lusher, and slightly more in your face bass. It’s a bit more syrupy like Sunday Mornings with Aunt Jemima. It hits a tad harder, but is still in no way out of line. The main thing to understand is that because of the warmer sound of the bass, it renders the 650 slightly less clinical/sterile as opposed to the 600. The 600’s are crisper, with a tad more clarity, while the 650 comes off as a bit more exciting. I suppose the 650 may suit the casual listener a little more. Soundstage. This is rather subtle as well, but I noticed that the 650’s Soundstage is a bit wider than the 600’s, and may explain why part of me enjoys the 650 more than the 600, even though I prefer the more clinical sound of the 600. Detail & Transparency. The problem with the HD600 revealing more detail than the 650 is that it can make certain recordings sound downright awful because it’s so honest and transparent. That said, with stellar recordings there is really no contest. I’ve heard things with the 600’s that really have no business being heard. Even so, they have a tendency to become a bit metallic and somewhat harsh at times in the way that they portray instruments and voices. On the other hand, the 650 kind of smooths out a lot of imperfections in music and sounds more pleasant with a wider variety of tracks. This renders them better for pure musical listening enjoyment. The casual audiophile is likely to be more drawn to this type of sound, and cares little about accuracy even though the 650 is an accurate headphone in it’s own right. Hip-Hop. The 650’s do a little better with this genre because of that slight bit of extra bass emphasis. Construction. The 650 improves on the durability and overall build. The 600 is solid, but a bit less so. Headband padding. The padding on both headbands is made of the same material, but shaped differently. The 600 has 4 small pads while the 650 has 2 uniform pads. I didn’t notice a difference in comfort with either. Both are very comfortable. Wires. Let’s face it: the HD600’s chord looks and feels like 1997. It’s cheap, and belongs on a $20 set of headphones. That said, I haven’t had issues with it. It’s long and cumbersome, so you may want to grab a twist tie. I’ve run over mine countless times with my computer chair but it’s still doing fine. Maybe it’s not so cheap after all? To the contrary, the 650’s chord is much improved, thicker, and detaches from the ear cup with greater ease. I found myself tugging rather hard to get the chord out of the 600’s cups. Both have the same termination, but the pieces that insert are smaller on the 600, and therefore are harder to pull out with your fingers. Both of these headphones are going to need a good amp to deliver optimal sound quality and volume. The good news is that they aren’t incredibly picky about what you go with. That said, some combos are going to sound better than others. In particular, a tube amp makes both the 600 and 650 really shine. The downside is that tube amps are a bit less reliable than a solid state. 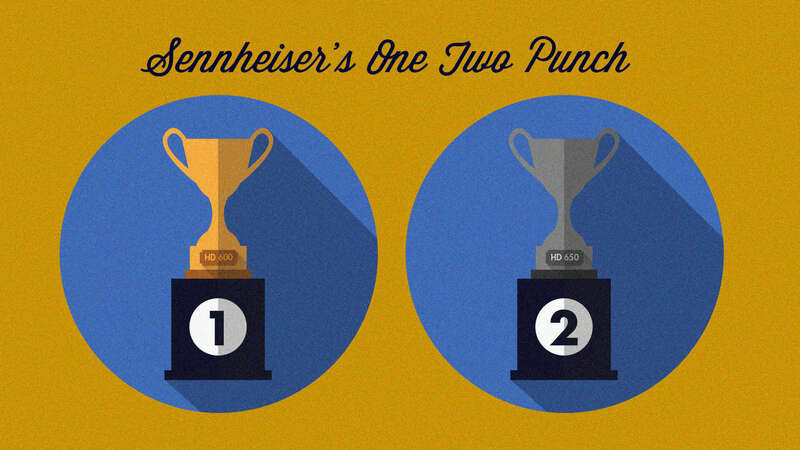 Learn more: Tube amp vs. Solid State. Before we get into it.. The great news about both of these headphones is that they aren’t that picky about what Amp you decide to purchase. I’ve found quite a few entry level options to work extremely well. I wouldn’t become too concerned about trying to find the perfect pairing, although a tube amp like the Bottlehead Crack is likely the best overall as far as synergy and warmth is concerned. To start out, I would recommend a solid desktop solution or an Amp/DAC combo. You’re going to really enjoy the sound regardless. For under $100, the E10K is the Amp/DAC to get if you are a bit strapped for cash but want an incredible sound. I’ve been using the E10K with my HD600’s as well as the 650’s, and the response is phenomenal. It’s crisp, neutral, and immensely detailed with a hint of warmth. It’s got an output impedance of less than 1.04, which means that it will power most headphones without a problem. I wouldn’t try to drive anything over 300 Ohms however. Do be aware that it’s total power output at 32 Ohms is 2oomW, whereas something like an Objective 2 outputs 613mW into 33 Ohms. It doesn’t have the raw power of other amps, but is still a lot more capable than people give it credit for. It’s got a bass boost, gain switch, coaxial out, line out, and USB input. I’ve found the gain really helps with something like and HD600/650, and there’s still some headroom left as well! What more do you need? The Audioengine D1 is a small Amp with extra large capabilities. In my opinion this (along with the Dragonfly Red) is the next logical step up from something like an E10K as far as portability and sound goes. This combo has RCA/Analog outs, as well as Toslink/Optical out and USB input. So you can rig it up to a gaming console like your PS4, use it to power some studio monitors, and use it as a headphone amp. It’s more than capable as well with regard to sound. With Fallout 4, the gaming environment was 100x more immersive, detailed, and rich, with life like sounds forming in all directions. This would make a perfect FPS rig as well. Not only that, but music sounds equally as lush and inviting. If you’re searching for a versatile Amp/DAC that can handle everything, look no further. The Dragonfly Red is the #1 portable option without question in my mind, and perhaps the most convenient piece of gear ever assembled. It looks like a flash drive but can power my HD600’s. How is that even possible? The good folks over at Audioquest really accomplished something great with this piece. Like the E10K, I wouldn’t try to power anything over 300 Ohm with it, but it’s incredibly powerful especially given how tiny it is. What’s more, you can take it anywhere with you, as it needs absolutely nothing but a USB slot. This is one of my main gripes with most Amp/DACs, even though it’s not really the fault of the manufacturer. I crave convenience, and the Dragonfly Red is king in this regard. There’s absolutely no hassle involved. Just plug it in and be taken away to audio bliss. Even paired with your phone it only needs a dongle, which isn’t a big deal at all as they are very affordable. A fantastic portable amp that really makes music come alive. Out of everything I’ve tried, the HA2 had the best build and the 2nd best overall sound. 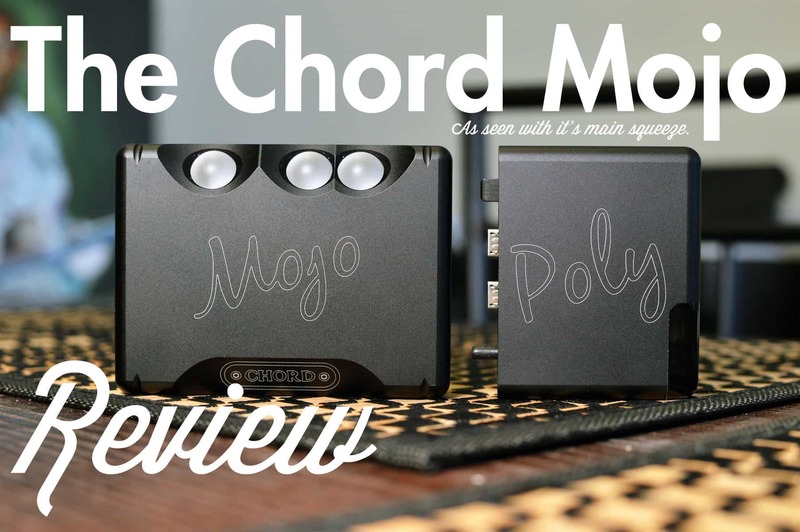 It used to be my benchmark for Amp/DACs until I heard the Chord Mojo. The HA2 functions as a desktop or portable amp, with a gain switch and bass boost like the E10K. It’s got USB, micro USB, and line out, as well as a gain switch for more power hungry headphones and a bass boost for you bass heads. 😛 What makes the sound better than the other options is that the sound is so crystal clear it may give you goosebumps. The detail, clarity, and Timbre of the music just comes through in such a powerfully honest and raw way, without sounding too sterile. This combo gets my highest endorsement. I always thought there were little differences between budget amps and more expensive ones, until I plugged the MrSpeakers Aeon Flow into the Mojo and got completely blindsided. Yes, we’re discussing the 650, but bear with me. I think the Aeon closed would make a great closed back compliment to the open 650. Simply put, there’s no Amp/DAC combo you need more than this one. If you’re looking to drop some serious money on a set up and be done with it for A LONG TIME, then stop what you’re doing and just purchase an HD650 with this Amp/DAC and don’t look back. Don’t ask questions. Just trust me. Lol. The bundle to the right will allow you to pair it with your iPhone! It’s absolutely the best I’ve heard, with music taking on an almost lifelike quality and hyper sense of realism. The vocals are so intimate that it’s like the artist is speaking directly to you. The attack, sustain, and decay with instruments is absolutely mind blowing, to the point of discomfort. You know how sometimes when you’re listening to music it’s sort of like being on auto-pilot? Maybe you’re preoccupied with something and are kind of halfway listening. With the Mojo I was frozen dead in my tracks as soon as the first vocal passage came on. This thing demands your attention in a powerful way. SEE WHAT OTHERS ARE SAYING ABOUT IT ON AMAZON!! What about a solid state desktop solution? JDS Labs 02 with the Modi, ODAC or a DAC Magic 100. Designed and built by NwAvGuy (Northwest Audio Video Guy), this amp has an output impedance 0.54 ohms. I believe it to be a superior amp to the Magni 2, paired it with the Cambridge Audio DAC Magic 100, or even paired with Schiit’s Modi DAC. The Objective 2 amp provides a cleaner and more resolving sound than the Magni. More details are present, and the sound takes on a more revealing, life like quality with better resolution, vividness, impact, Timbre, and Soundstage. Buy the JDS Labs Objective 2 + these cables + a DAC Magic 100. Boom. Plug in the power brick from the amp to the outlet. Plug in the 3.5mm jack to the front of the 02. Plug the other ends into the DAC Magic (RCA). 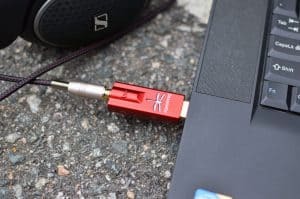 Plug the DAC Magic into your computer using USB. Plug your headphones in. Take a swim. Lol. Schiit Asgard. A step up from the Magni. Lake People G109. Another clean and transparent offering, this time from the good folks over at Vioelectric. The G109 has very good bass depth and detail, and hits hard. This amp also does well with many different headphones so if you decide to upgrade or add to your collection, it bodes very well. A perfect entry level tube amp to get your feet wet. Does a great job of providing plenty of warmth and detail, while also separating sounds and providing a good 3D landscape. What is Soundstage? Includes 2x input ports including line in and RCA. It’s also got 3x output ports including 3.5mm jack, 1/4″ jack, and RCA jacks. So it’s flexible in that if your headphone terminates in a 1/4″ jack you won’t need an adapter. This is probably the overall top pick for both the HD600 and 650 because of the fact that it’s both warm and detailed at the same time. Be advised that it is a DIY project, but by all accounts that I have read it’s fairly straightforward and fun! You can also request them to build it at an extra price, but I would recommend getting your hands dirty. CHECK OUT THE CRACK ON BOTTLEHEAD’S WEBSITE!! This is likely the second best tube amp to pair with the 650, and it doesn’t disappoint. You will want to immediately upgrade the tubes however, as the majority of folks weren’t digging the stock homies that come with the amp. The Amp seems to add color and warms up the sound of the 650, while also bringing the mid-range forward a bit. This renders songs in a way that’s very resolving but also musical, with a Soundstage to die for! This little beast pairs extremely well with a Topping D3 DAC, and has RCA outputs on the back for some added flexibility. You can use it as a preamp to power some studio monitors or you can hook it up to your Turntable for some fresh Vinyl snacks! Like the Darkvoice, this Little Dot also benefits from some tube rolling but the stock tubes sound fine too if you don’t want to upgrade right away. This amp is not to be taken lightly, as it’s one of the best overall pairings with the HD650. It has a rock solid build and lots of power as well. If you’re coming from a cheaper solid state amp, get ready to have your mind blown! These aren’t always available all of the time, but you can always request a drop. La Figaro 339. A great upgrade from the Darkvoice 337. Massdrop x Alex Cavalli Tube Hybrid Amp. The HD 600 and 650 are two very similar sets of headphones. If you are planning to do more mixing in studio, and need a revolutionary reference can that has the ability to reveal even the smallest of nuances, look no further than the HD 600. They just may be the finest example of an open back model that has ever been made. Don’t believe me? Out of 58 headphones reviewed, only 4 from this man’s collection received an A+ price to performance ratio. Out of the roughly 80 headphones I’ve demoed (as of this article), the HD600 and 650 are both in the Top 3-5 easily. If you prefer a more colored sound, and want to enjoy the experience rather than be too critical of it, the 650’s may suit your tastes better. They are less analytical overall, and have been called the more “fun” sounding headphone out of the two. Well that’s about it for today my friend! I hope you’ve enjoyed my Sennheiser HD 600 vs. HD 650 comparison review! How did I do? Which of these suits your needs better? Let me know! Also if you have any other specific questions, drop me a line down below or Contact me! I very much look forward to hearing from you.. Thanks for this review Stu, my brother bought me a pair of (entry level) Sennheisers and I’ve been a fan of the brand ever since. I think I’m more partial to the 600s for a mixing application – the 650’s sound like they’d give a brilliant listening experience, but it doesn’t make sense to mix using these if everyone else listening to your tracks is going to be listening through below average speakers/headphones! I’ve heard before that Sennheiser’s have a warranty on all parts (or maybe it was that all parts are individually replaceable?) or something like that.. have you heard anything like this before? You are totally right. The HD 600’s will most likely be my next purchase. I went from the MDR 7506’s, to the ATH M50’s.. I also have a pair of Sennheiser HD 280’s (a great set)..
Yeah while the 650’s are amazing, they are mostly for just listening.. I have heard about the 10 year warranty/guarantee! Is this what you’re referring to? Hey Stu, in your opinion, is there any value of getting the HD650 if I already have the HD600 or are they too similar? It depends on what you’re using them for, but the HD600 is more known as being a true mixing/reference can, while the 650 has more bass and is generally considered the headphone to get if you want to enjoy the music rather than be critical of it. The good news is that you can still mix with the 650. Tyll from Inner Fidelity once said that he preferred the 600’s because they were a bit “snappier” and lively. I’ve heard that the 650’s are so smooth they may lull you to sleep! Hope that helps! Let me know if you have any other questions..
I’ve found that the 650 has a bit wider of a Soundstage than the 600 but it’s not a night and day difference. You’re getting incredible instrument separation, clarity and detail with the 600 and 650. 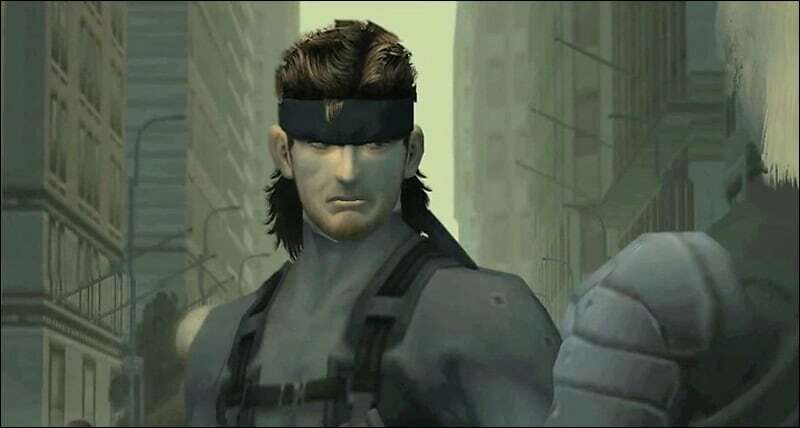 But yeah, both have pin point accuracy. Thanks for the comment! Stu, you have an amazing site! Just wanted you to know that I just bought a Sennheiser HD600, all thanks to your thorough review and mentioning of the gold standard. Good job with this site, I run a music website and would love to work together with you one day on some articles. Sounds good brother! We’ll have to work something out. So glad you like the 600’s. I’m sitting here listening with them as we speak. 🙂 Contact me and we can bounce ideas. Thank you so much Leon! Ever need anything just contact me! I bought my HD600 in about 1999 for HiFi listening. I have upgraded everything in my system a number of times except the HD600. They are a bit battered now and the foam bits around the ears are long gone, but they still sound exactly as you describe in the review. Best AV purchase I ever made. Thanks for the vote of confidence man! I really love mine too. Only had them for about a year, but I can tell they’re built to last. Every part is replaceable! Truly priceless. What amp are you using? This is really interesting, and really came at the right time because I’m seriously in need of an headphone. Reading through this comparison, they both have good features which are really convincing but I really love going for the best. As for me I think I will be getting HD 650 I really love it. Thanks man!. You’ll really love the HD650. It’s probably the best overall headphone recommendation I can make for a budding audiophile. It’s going to work well for most people who just want to know what music is supposed to sound like. I have always been confused between the Sennheiser HD 600 vs. 650. This article just helped me make a wise decision on it. After reading the review and the chart about both the headphones I am going to go with the Sennheiser HD 600 because at last it comes down to the price for me. Thank you for helping me choose between these two headphones. My pleasure Sujandar! Always glad to help. Let me know how you like the 600’s! I really love kicking my feet up and enjoying some me time with my music and headphones. I am a lover of headphones and good sound systems so I am always on the look out for good quality products. I love the comparison you made about the two products and I am definitely leaning towards the Sennheiser HD 600. I will be visiting your site more often to check out what other cool products you might have. Thanks for sharing. Thanks Jamiro and no problem! Keep me posted! Both models are awesome, as with most upgrades, there may be only slight noticeable differences. For its cleaner sound, I would prefer the HD600 headphone over the HD650. A great headphone certainly changes the way a piece of music sounds. To be honest, I wouldn’t want to pay an extra buck for only a slight difference. Having an extra-long chord is the only set back I see with the HD600. 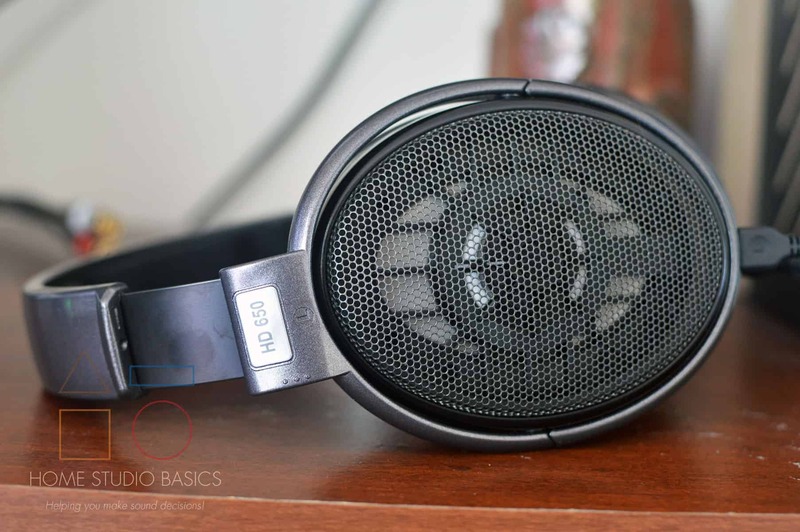 I have one worry about the HD650 – I easily get dizzy with increased intensity of music. Do you think using the 650 would ease the impact of that? To answer your question: Most certainly. The HD650 is a very very relaxing and non fatiguing headphone, while still remaining incredibly detailed. It’s very hard to put into words just how good it makes your music sound. I would say if you’re having those issues the 650 is the perfect headphone for. In fact I kind of prefer it over the 600 personally because the 600’s mid-range will start to fatigue you after awhile. Hope that helps! Please keep me posted on your decision.. 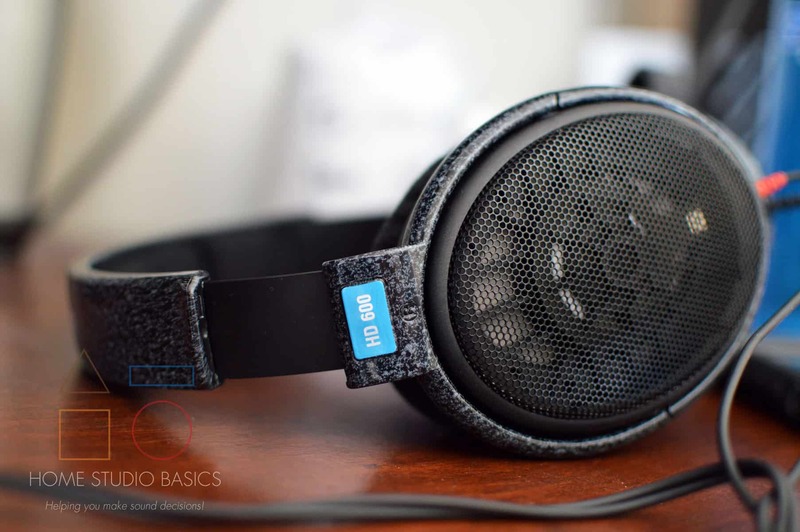 I have been looking everywhere for some good reviews on headphones and have decided to go with the Sennheiser HD 600 Open Back Professional Headphone for my next set. I like the specs and I am going to take a look on Amazon when I finish here. Thanks Vicki def keep me posted on your decision! Great article, bringing all the details necessary for a wise decision depending on one’s budget and need. Personally, I would go with the 650 because of its relaxing features. I once used a Headphone which I couldn’t wear for more than 20 minutes before feeling uncomfortable, not a good experience. Since then I have always learnt to go for comfort and then sound when buying a headphone. Agreed Zuchii! With either the 600 or 650, you’ll be able to wear them for extended periods without a break. I’m a bit more forgiving with regard to comfort but less so as I get older. I’m selling off most of my headphones, but one of the reasons I can’t part with the 600 is because of how comfortable it is. Even more astonishing when you consider that it’s an over 20 year old design! Hey, Stu! I love your headphone reviews. I am currently pairing HD600’s with a Little Dot MKII. My music source are Apple Lossless digital files fed from a MacBook directly into a Chord Mojo as a DAC only. The Mojo feeds into my Little Dot. Would I notice a difference using a Little Dot MK III instead? Hey Michael thanks so much! Honestly man you’re not going to see much difference with the MK III besides a bit better of a build and some more power. If I were you I may just hold tight but I understand the want/need to upgrade. That’s interesting you’re using just the DAC on the Mojo. Really love that thing! Keep me posted and let me know if I can help further.